For more than 100 years, the reliable Buffalo brand has stood for quality and tradition. 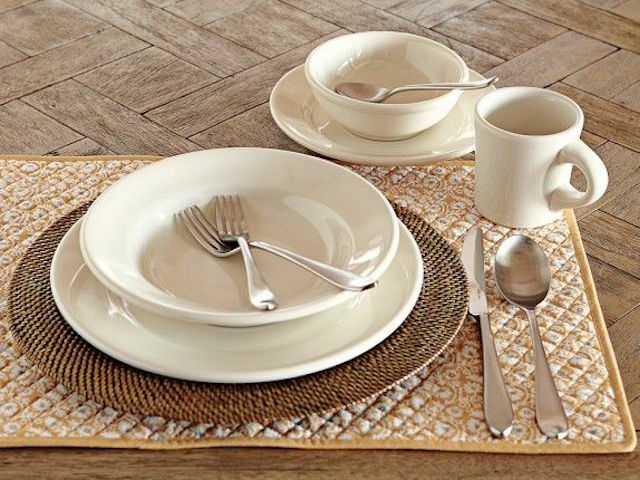 With unequaled durability, practicality and detail, the Buffalo Collection’s casual, popular-priced dinnerware delivers function and flair to the tabletop. Easily standing up in the most demanding establishments, Buffalo dinnerware continues a long tradition of durability and strength. Twice fired for superior performance and quality, all of these dinnerware shapes are microwave and conventional oven safe. The collection features shapes with reinforced scalloped edges, rolled edges or rimless designs.